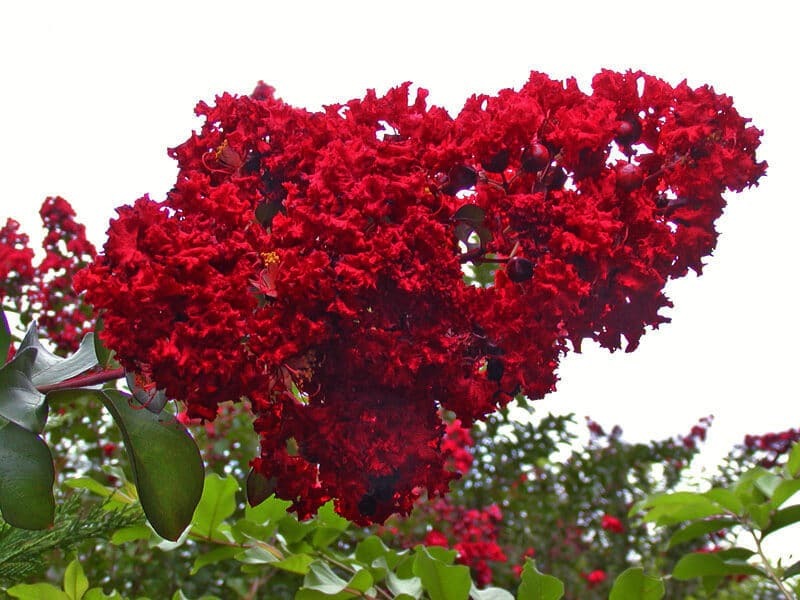 The crepe myrtle tree is one of the most popular landscaping trees and with good reason. Not only does it bloom gorgeously in summer, ensuring your garden will be full of color, but it also grows quickly and provides shade to the surrounding area. Perhaps the most impressive thing about the crepe myrtle is that its architecture can really make the most of any landscape. Since this is what most people use it for, we thought we’d provide you with 6 ideas on how to use crepe myrtle for landscaping purposes. One of the first ways in which you can use a crepe myrtle is to create a space dedicated only to planting this type of tree. Whether you choose to plant one single tree or more trees of the same kind is completely up to you. The overall idea remains the same. The goal is to make the crepe myrtle tree stand out, which is going to happen especially in summer when it blooms. That’s when you’ll get to enjoy a colorful oasis of beautiful flowers. In order to make sure you’ll do this right, we advise you to choose a crepe myrtle variety that doesn’t grow as tall or wide. That’s because this might cause it to exceed the boundaries you’ve established for the oasis. In turn, you’ll have to prune the trees, and this might damage their appearance. Moreover, when you plant the trees, consider the location carefully. Make sure that when the trees develop, they won’t get in the way of power lines, walkways, or buildings. If you’re thinking of planting more crepe myrtles next to each other, you should go for a smaller variety. After all, you don’t want your plants fighting for space. On the other hand, if you want to make just one tree the center of attention, choose a dramatic variety that grows tall and wide, and that will provide you with a lot of flowers. Were you thinking crepe myrtles are impossible to plant in containers? Then you’ll be happy to hear this is actually an option. 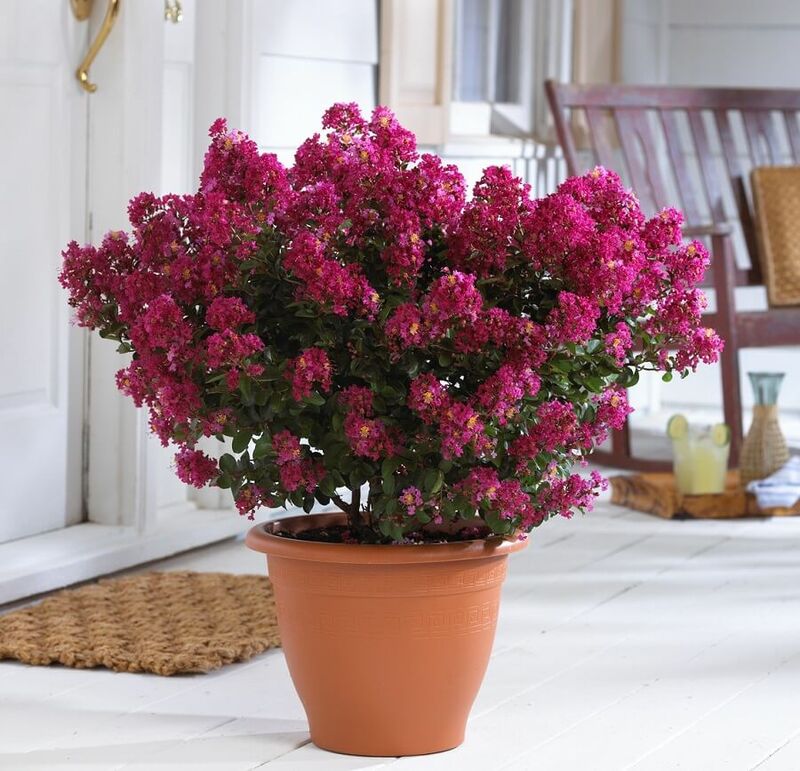 All you have to do is choose a dwarf crepe myrtle variety and a large container. While keeping it inside is not the best option, this is the perfect setting for a deck, patio, or terrace. It will instantly make it look better. For container growing, we suggest the “Petite” crepe myrtle series, with varieties such as “Petite Plum”, “Petite Embers”, “Petite orchid”, or “Petite Red Imp”. They only reach a height of 5 feet, which is more than enough for a container. The “Petite” varieties all have yellow foliage which gives them a permanent autumnal look. Planting crepe myrtle dwarfs in containers isn’t a difficult task. All you need is some quality potting soil that contains sand, peat moss, and perlite (in equal parts). Also, remember that the pot you use has to have at least one drainage hole. 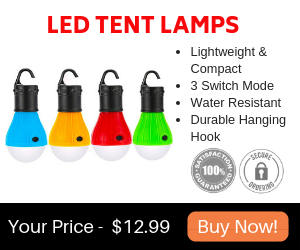 This will prevent water from drowning your plants and causing them to rot. Another creative way of using crepe myrtle trees for landscaping is to frame an entrance, be it the entrance to your yard or to your house, using a pair of matching trees. In terms of size, medium-sized crepe myrtles are the best for the job. A large variety would grow to overshadow the entrance, while a small variety might not be imposing enough to make the entrance stand out. The “Acoma” variety would be a perfect option. 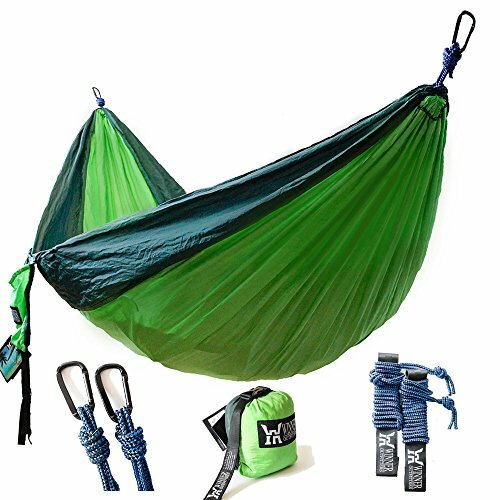 It has a rounded shape, and it reaches a width of 11 feet and a height of 10 feet. Its foliage turns red in autumn and its blooms are white. The “Pink Velour” variety is shaped like a vase and has neon pink blooms. As if this wasn’t enough to make it stand out, in autumn, its foliage becomes yellow-orange. Finally, another recommendation would be the “Catawba” variety. This one is a bit smaller than the other two. It has dark purple blooms which are definitely a treat for the eyes. Moreover, its foliage turns reddish-orange in autumn. Planting a matching pair of crepe myrtle trees at the entrance to your yard or house is a great idea. Why? Well, first of all, because for the people who love symmetry, it will be an extremely satisfying view. Second of all, because it will bring a touch of color and life to a place that people use on a daily basis. That way, whenever someone visits you, they’ll definitely notice the two gorgeous plants framing your entrance. Crepe myrtle trees also look great when combined with other plant varieties. In this case, since the trees are typically big and imposing, you should choose smaller plants to grow under them. One excellent example would be some ground covers. They’re small, so they won’t overshadow the crepe myrtle, but they’re also beautiful and rich, so they won’t go unnoticed. Another example would be perennials, which have an extensive life cycle, so they’ll be around for a long time. Even though they’re taller than ground covers, they’re still the right size to pair with some crepe myrtle trees. The same goes for spring bulbs such as daffodils or tulips. They’ll bloom when the crepe myrtles don’t, creating a lovely contrast between the trees’ foliage and their colorful flowers. All of the examples above are perfect for planting under a crepe myrtle tree, mostly because they complement it. Especially if you don’t enjoy leaving empty spaces under trees, or you want to make the most of the little space you have in your garden, this is a great way to grow more plants without needing extra room. Going back to dwarf crepe myrtle varieties, there’s another creative way in which you can use them for landscaping. That’s to combine them with other types of shrubs of the same size. The butterfly bush and the Rose of Sharon are two amazing options. Their color and shape allow you to plant them next to crepe myrtles, be it in an irregular fashion or in neat garden borders. Perennials that grow lower than dwarf crepe myrtles are also an option. The iris and the daylily make perfect companions for the crepe myrtle. As an extra tip, you could use ornamental grasses in between these different types of shrubs and perennials. This won’t only provide more texture, but also make that spot in your garden a year-round interest. 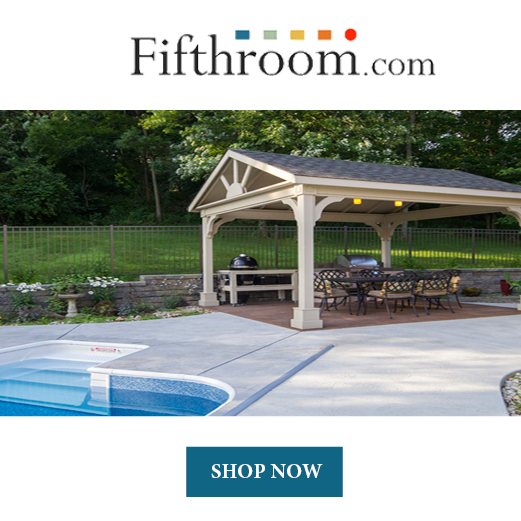 Not everyone has enough space in their garden or backyard for a sitting area. Still, there are ways to work around this. All you need is a desire to create a space where you can relax in the garden. 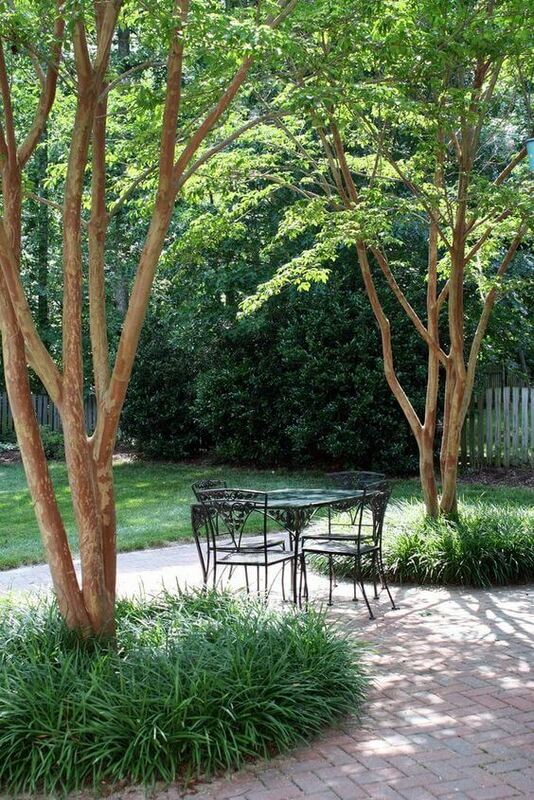 If you have enough room to grow a crepe myrtle tree, you can always create a sitting area right underneath it. That way, you’ll use that space that would have gone to waste anyway. The great thing about this idea is that you’ll get natural shade due to the crepe myrtle tree, as well as a lovely view. As you can see, in the picture above, there are two opposing trees overlooking a sitting space that contains a table and four chairs. If this is not something the size of your garden allows you to do, you can always plant just one crepe myrtle tree and add a small bench or a swing under it. This will instantly create a relaxing and idyllic place in your garden. When planting crepe myrtles overlooking a sitting area you can also plant some liriope at the bottom of their trunks. This will make the trees look less bland, especially during the seasons when they’re not in full bloom. Moreover, it will provide some extra texture to the entire yard. As we hope we were able to show in today’s article, there are many ways in which you can use crepe myrtle trees for landscaping purposes. We tried to include ideas for every taste, desire, and requirement, so hopefully, you’ve managed to find at least one that inspired you and convinced you to try it out at home. No matter where you want to plant crepe myrtles or what variety you decide on, you should know that they make great cut flowers. Not only due to their gorgeous colors, but also due to their refreshing and reinvigorating smell. While we don’t recommend cutting a lot of flowers from your trees – since they’re the main attraction and it would be a pity to rob the tree of its flowers – cutting a couple every now and then won’t hurt the plant. Especially if you own several crepe myrtle varieties in different colors, creating a bouquet for your home is something you should definitely consider. If you want to start planting crepe myrtles in your garden, here’s where you can find a small container tree that you can transplant in your garden.